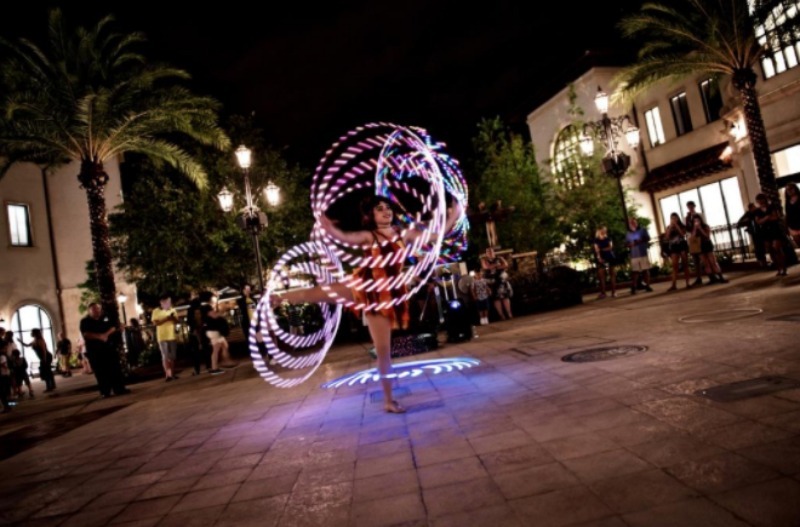 Disney Springs offers a wide variety of entertainment for the whole family. 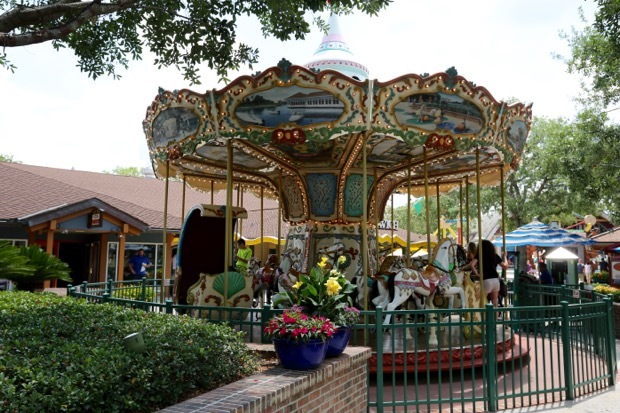 The littlest guests will enjoy a ride on the carousel or the mini train, while parents will enjoy all the live music available at the restaurants and on the Waterside Stage. Many Walt Disney World visitors like to plan a day to explore here or even just come for the evening after the theme parks have closed. An afternoon at Splitsville Luxury Lanes can be a fun way to pass the time or enjoy dinner and a show at the "Fork & Screen" movie theaters. Operating hours for the common areas at Disney Springs are 8:00 a.m. - 2:00 a.m. This includes all the promenades, walkways, rest rooms, and green spaces. Stores are typically open 10:00 a.m. - 11 p.m. Sunday-Thursday and 10:00 a.m. - 11:30 p.m. Friday-Saturday. This stage is used for live entertainment, including many visiting acts from around the country. A DJ Kids Dance Party is held here in the evenings. 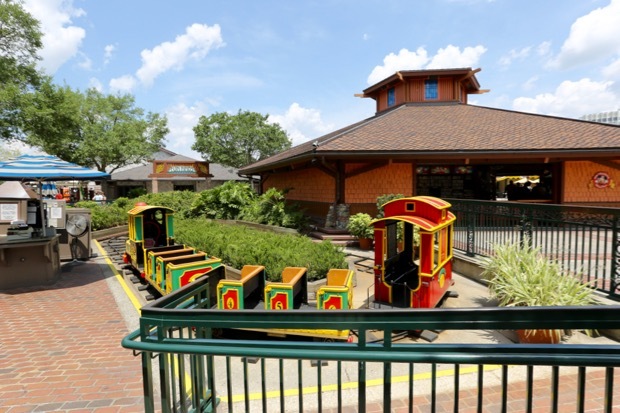 Mini train ride. $2 for kids, free for adults. ILMxLAB and The VOID have teamed up to create a hyper-reality experience that allows guests to step inside their favorite films via virtual/multisensory technology! 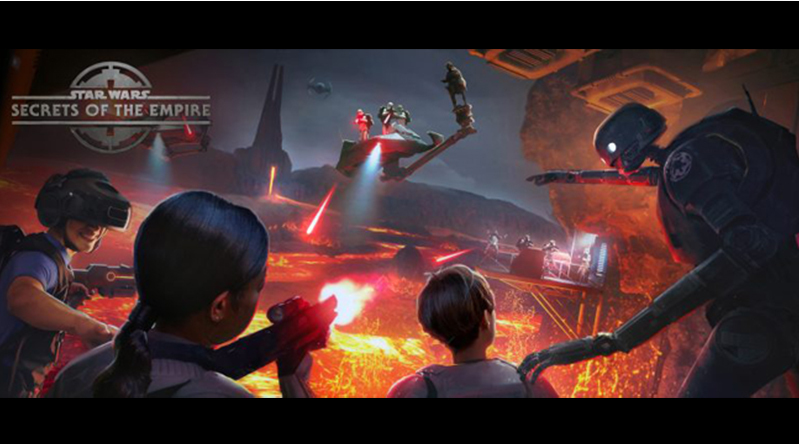 During Star Wars: Secrets of the Empire, guests experience a combination of virtual reality technology and the physical/tangible surroundings that are also part of the experience to create a full immersive atmosphere. Groups of four people are completely untethered as they go undercover as Stormtroopers looking to secretly obtain Imperial information for the Rebel Alliance! 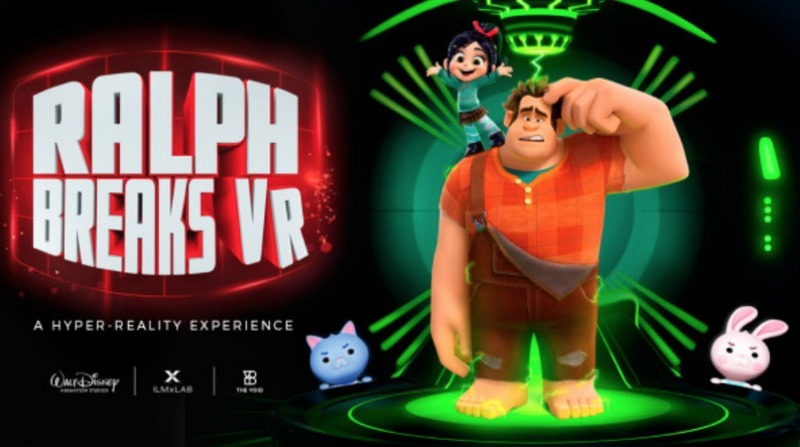 Ralph Breaks VR, based on Ralph Breaks the Internet, puts guests inside a new multi-sensory Disney adventure where they’ll be immersed in the worlds of the internet and online gaming with Wreck-It Ralph and Vanellope. During the game, guests will be immersed in the world of the new film and interact with Wreck-It Ralph and Vanellope von Schweetz, helping them break into the internet. There is also a new experience based on an undisclosed Marvel movie that will premiere sometime in 2019. The two current experiences are presented on alternating days. Tickets can be found at www.thevoid.com. 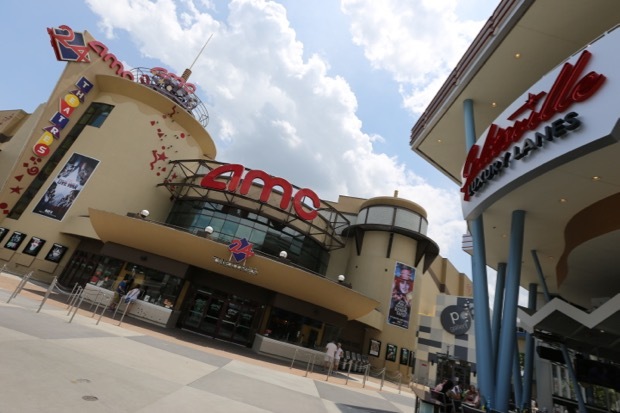 24 screens and 5,400 seats (all stadium style) make this theater one of the largest in Central Florida. Six of the auditoriums are "dine-in" theatres with full service dining and drinks. The "Fork & Screen Theaters" have reserved seating, alcoholic and non-alcoholic drinks, and a menu featuring quesadillas, burgers, flatbread pizzas, grilled sandwiches, house specialties, appetizers and desserts. In addition, so as to minimize distractions to other patrons, moviegoers are able to press a call-button that alerts their server. Depending on the day and time, the dine-in experience costs between $6 and $13, plus the cost of food, which is between $6.59 - 8.99 for appetizers and $8.59 - 11.99 for entrees. For those who may want to eat before watching their movie, MacGuffins Bar and Lounge is also available inside the AMC Disney Springs 24 and offers the full menu of drinks and food choices available to those in a dine-in theatre. 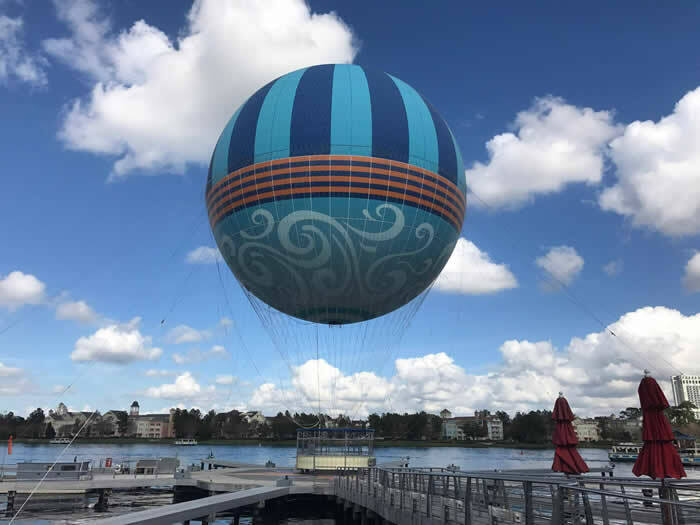 Located next to the bridge near Planet Hollywood, this balloon ride provides guests with a bird's eye view of Disney Springs and a 360-degree view of up to 10 miles. This 8-10 minute trip lifts up to 30 guests at a time 400 feet in the air. The cost is $20 for adults and $15 for children (3-9). Operating hours are 8:30 am - 12:00 am daily, weather permitting. Discount: Trips in the balloon before 10:0 am are just $10. The House of Blues at Disney Springs is a great concert venue for some of today's popular bands. 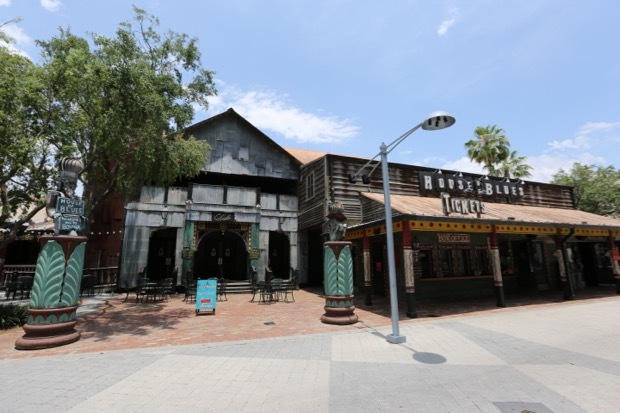 Find concert tickets, tour dates and event information at House of Blues Orlando. The menu boasts a wide variety of American, as well as international foods from celebrity chef Aaron Sanchez. The Gospel Brunch held here on Sundays is NOT to be missed. 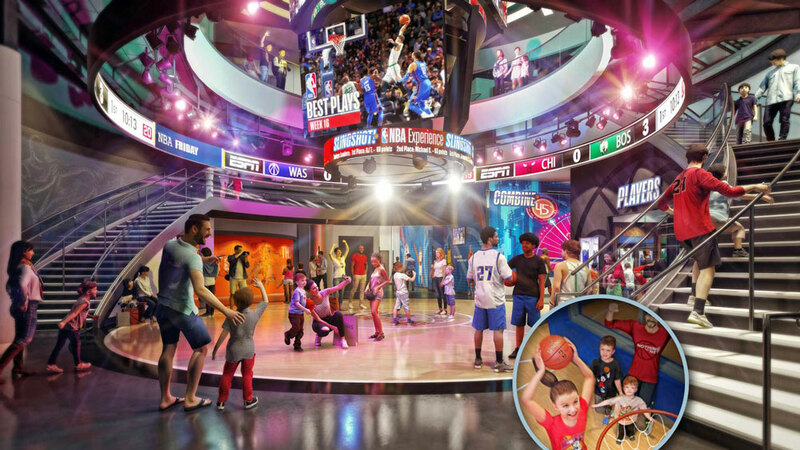 The upcoming NBA Experience will occupy the former space of Disney Quest on the West Side of Disney Springs. The basketball-themed venue will offer guests activities such as a live NBA Draft photo opportunity, a “a replicated NBA Combine challenge”, the opportunity to perform timed shots before a “roaring crowd,” get photos of themselves making slam dunks on adjustable baskets, and work with a trainer to improve their dribbling game. There will also be a some less-professional games for visitors to take part in, like a giant slingshot that players can use to shoot balls at different hoops in a timed challenge. NBA Experience will, of course, feature a basketball trivia competition with up to 25 players involved. Interactive arcade games focused on the sport will also be available, from Pop-A-Shot to modern video games. Every Saturday, 9:00pm-12:30am, a live band will take the stage in the Bullet Bar - no cover charge required. The stage can even be seen from the lanes on the first floor. Call (407) 938-PINS or email [email protected] to reserve a lane or if just booking dinner, click here. Splitsville is located on the West Side in the old Virgin Megastore building. Splitsville is not your typical bowling alley. The 45,000 square foot venue features 30 lanes spread over two floors, as well as billiards, music and live entertainment. Patrons can get a full meal delivered right to them while they bowl; hand-tossed pizza, fresh-rolled sushi, filet sliders and more are available without ever having to leave the bowling floor. A balcony offers outdoor seating. 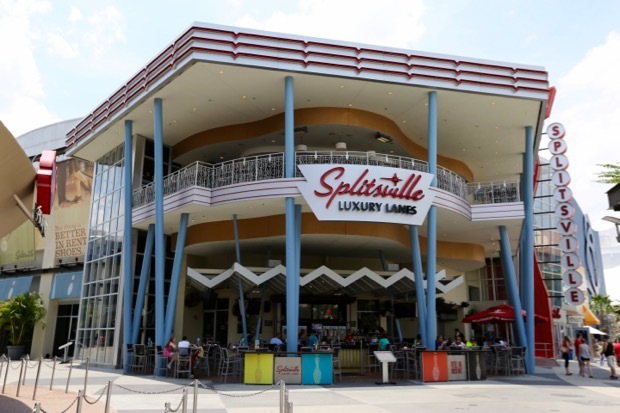 In addition to daytime hours, Splitsville offers a new option for nighttime entertainment at the popular Disney Springs area. On Thursdays, Fridays and Saturdays, the second floor will be reserved for guests ages 21 and up who arrive after 10:30 p.m. Prices range from $15-$20 per person for an hour reservation, plus the cost of shoe rental ($4 per person). View the menu here | Listen to a review of Splitsville. Sunday - 10:00 a.m. - 12:30 a.m.
Mon-Wed - 10:30 a.m. - 12:30 a.m.
Thurs and Fri - 10:30 a.m. - 2:00 a.m.
Saturday - 10:00 a.m. - 2:00 a.m. Priority Bowling allows your group to receive the next available lane upon check-in. Maximum 8 bowlers per lane. Groups requesting 2 Priority Bowling Lanes may have a longer wait. Pricing includes bowling; shoes are $4 per person. Need more than 2 lanes? Splitsville can accommodate large groups, corporate events and private parties. Food/beverage package purchase is required. Email [email protected] at least 24 hours in advance. 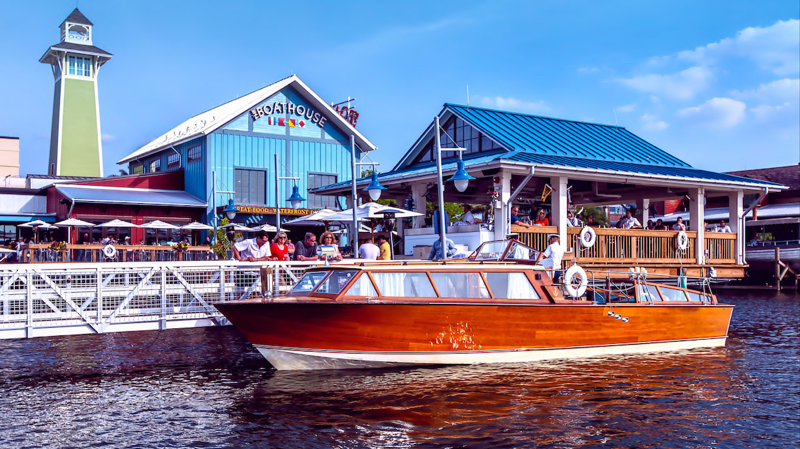 Take a Captain’s Guided Tour aboard an elegant, 40-foot Italian water taxi that launches from The BOATHOUSE at Disney Springs and sails the waters of Lake Buena Vista. Included in each sailing are decadent chocolate-covered strawberries and a champagne toast to christen the occasion in style. Wine Tasting Cruises aboard the breathtaking Italian water taxi are also available. This tour features award-winning wines, hors d’oeuvres, a complimentary souvenir wine glass, and more. The Venezia Wine-Tasting Cruise is available on Saturdays beginning at 6:30 p.m. for $125 per individual guest and $225 per couple (tax not included). Reservations are required as space is very limited. To book any of these cruises aboard The Venezia, call (407) 939-2628. Prices and hours are subject to change without notice. The shows will run intermittently between 7:30 p.m. and 10:30 p.m. each night.